With cold weather alerts regularly being issued by the Met Office and temperatures falling this week, Hounslow Council is working to ensure that the borough is well prepared for severe weather. If going outside, dress appropriately. If indoors, make sure you keep your heating to the right temperatures [heating your home to at least 18 to 21°C]. 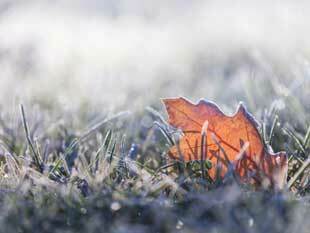 Check on elderly relatives/neighbours, especially those who live alone and may be vulnerable to the cold. Have regular hot meals and drinks throughout the day and keep active to help your body stay warm - wear a few layers of thin clothing rather than one thick layer - and when you need to go outside wear shoes with slip resistant, good grip soles. Keep stocked up with essential medication. Hounslow Highways, which manages the borough’s streets on behalf of the council, has its winter service programme in full flow. Throughout the winter, Hounslow Highways has a fleet of six gritters spreading rock salt on the borough’s roads to prevent ice forming. 2,700 tonnes of salt is ready to be used at a moment’s notice. The gritters are equipped with GPS trackers allowing the service to send out the closest-based vehicles to any incidents as fast as possible across the borough. This will also ensure priority routes are cleared when road surface temperatures fall below freezing. The Met Office issues three forecast updates each day during the winter season, which Hounslow Highways uses to programme in any required gritting ahead of any heavy snowfall. In addition to the fleet of gritters on standby, the service also sends out street cleansing staff with shovels and salt to carry out gritting by hand when necessary. “Winter is a time of year when it is particularly important for people to look after themselves during the cold weather because it is traditionally the time of year when people, especially older residents, are most at risk of developing serious health conditions.